Are you looking information about "How to create personal blog with Blogger? ", if yes then this is the right place for you. Also, Blogger is the best product for blogging and its really gift to all developers and individuals by Google. Before starting with above said title, it is require to get some brief introduction with Blogger, including its features, limitations and comparison with some similar online tools e.g. Wordpress, weebly or Google Sites. Actually all these tools are absolutely free but you can't take chance to trash your blog or your websites, which contains important texts, images and other details, which was create by hardworking and spent of tens of hours. 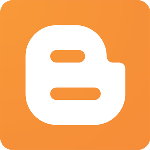 Introduction: Blogger is online blogging tool and developed by Google. By using this product, you can create your own personal, business or educational blog like this one. Blogger is free product even you can use it with your custom domain. By this post, we will discuss step-by-step information about creating blog. By entering above details, you'll be redirected to Dashboard of your blog, called "Overview"
That's it. Your blog is ready to use. Above said method will quickly create your blog, but it's design and layout is little simple. You can change layout, look, fonts, styles, create page, managing gadgets and comments by following steps. We are discussing about all menus which are available at left sidebar on your dashboard. Overview: This view contains an overview information, including awaiting comments, published comments, page views today, total number of posts, followers (if enabled) and page view charts including traffic source. Posts: You can view your blog posts in this view, with each post's view count. You can also do some basic actions in this view including edit post, delete post(s) and assign single labels to multiple posts in same time. Blogger also allow you to take a look of your post before publishing, it means you can do necessary changes in your post before it will live on the web. It is very important when publishing some image to multi column layout blog. You can also revert your published posts to draft. Draft posts are pending posts, which are ready to publish. Comments: You can manage your blog's comments in this view including remove comments or report commentator as spam. Google+: Google Plus is social media tool by Google. You can share your posts directly to your Google+ profile by doing some basic settings in this section. You have two choices to share your contents on the Google+. One is sharing option to your profile and second one is option to share your contents on Google+ Page (Your id must have Manager rights). Stats: As per the texts "Stats" we can understand that it is all about statistics. Yes, you can get your blog's stat in this view including pagviews on today, yesterday last month and all time history. This screen is also allow you to view traffic source and post entry wise page views. This stats are basic, please use Google Analytics to get details about your blog's stats and search data. Earnings: This amazing feature is allow you to Earn money or generate revenue from your Blogger blog. Yes, Google Adsense is powerful Advertising product by Google. Configuration between Adsense and Blogger is very easy. Campaigns: It is all about Google Adwords --A Google product for Advertisers. You can use this product, if you want to advertise your blog on the internet. Template: Template view allow you to customize your blog's design. You can choose your own template from from available templates. You can also customize your current template by clicking "Customize" button. This section is also allow you to taking backup or restore your blogger blog. Settings: As per this label, we can understand feature of this section. Yes, you can apply some basics and Advanced settings to your blog by using this view including your blog's title, description, privacy, access permission, comment permission, search preferences and other advanced settings. Conclusion: Blogger is the best product for your blog either you're fresh blogger or expert in the field. Blogger is safe, secure and speedy. You can also use it within your custom domain.